I can help you package your products and achieve the highest level of consumer satisfaction while remaining true to your unique and authentic brand. I have designed award winning packaging for a wide range of products and can help you successfully reach your audience in a retail environment. I enjoy taking on complex challenges and there is nothing like global, multi-lingual packaging design to bring out all of my problem-solving skills. Project Packaging for TREK audio products, a sub-brand of TDK Life on Record. Solution The brand’s waterproof feature is visually communicated by large dynamic images of the products splashed with water. A spot gloss finish really makes the droplets stand out. Packages also display a set of icons that communicate other features with just a few words to keep the front panel free of copy clutter. Project Global packaging for TDK Life on Record headphones. Challenge Redesign existing packaging in response to feedback from our global regions. Solution We added instant shelf impact through the use of negative space, bright colors and interruptive copy orientation. We boosted premium perception with eye-catching printing techniques, and helped consumers select the right style with color-coded product segmentation. It’s a challenge to satisfy regional partners who each have unique needs to address, but these changes have been well received by all regions. Project Create a packaging makeover to help Memorex rebrand as fun new LIVE headphones designed to appeal to a younger hipster audience. Project Design a fun and informative package for the 2-in-1 Micro USB Flash Drive, Imation’s premium giveaway in our booth at the 2014 Consumer Electronics Show. Packaging was custom designed to highlight the product's features within seconds of the user interacting with it. QR code was added to the back of the packaging to quickly take the user to where they could download the app. 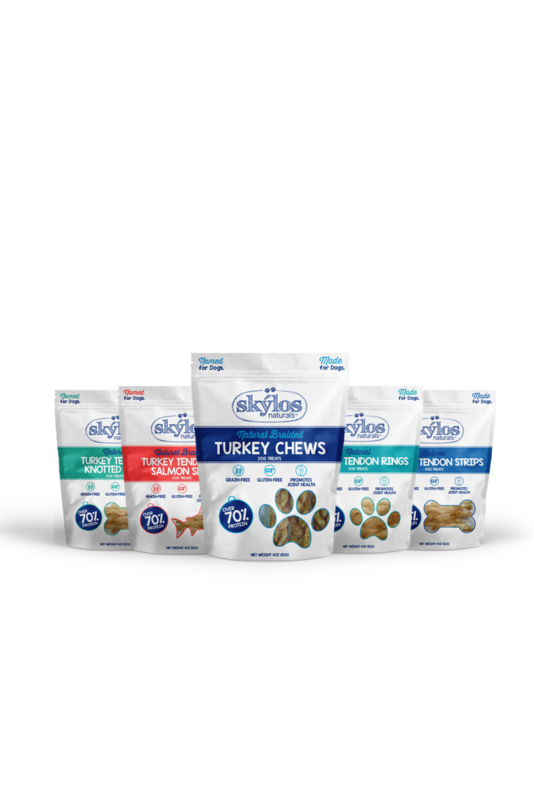 Project Design a line of packages for a fun new line of dog treats - Skýlos Naturals. Skýlos Naturals has already been placed in numerous retail locations and has received very positive feedback on their packaging design.